Time up is your countdown timer.Fine tune your times, activity and start. Internet Phone Number Extractor is an efficient number extractor which can find different numbers from the internet. It can find phone numbers using search engines allows number search which gives numbers according to people’s requirements. 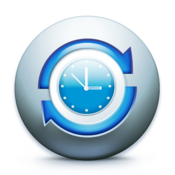 Free version of Time and Chaos contact manager crm to organize your telephone book, appointment schedule, and to do task list for better time management! Even share data on a network without any extra or expensive server software. No ads!